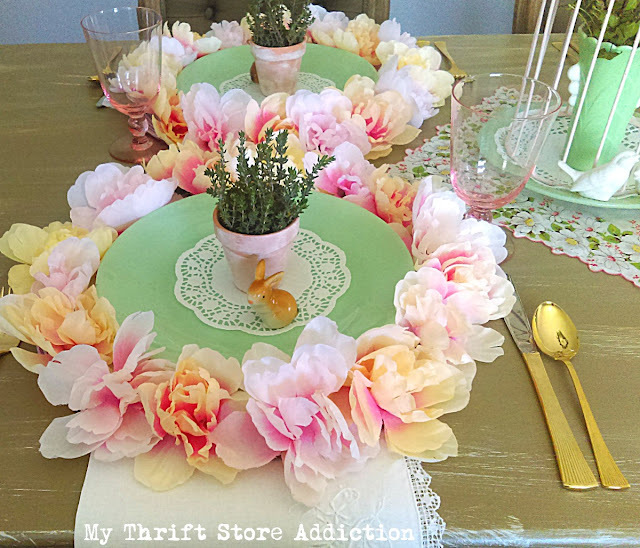 I'm of the opinion that there's no such thing as too many flowers and for my first spring project I crafted these blooming peony placemats featuring dollar store flowers. The mini pots are also dollar store finds. I aged them with white chalk paint and filled them with organic garden thyme. I often pair my vintage collections with upcycled finds like these from the dollar store. I'm partial to shades of aqua and blush in my home decor, but this spring I added my mint green jadeite to the color palette in the dining room. 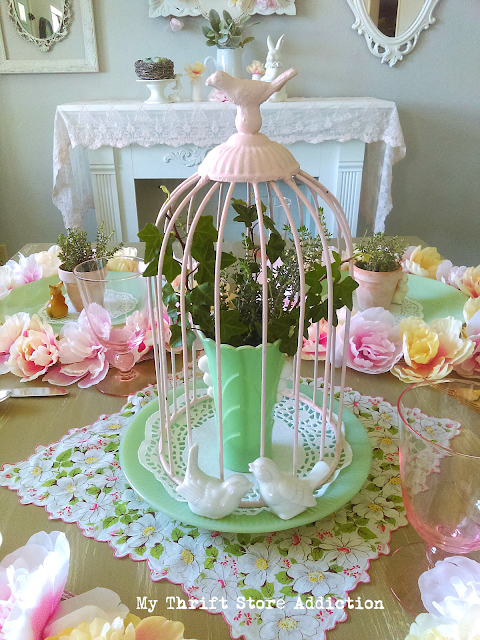 With all of the florals from the placemats, I kept the centerpiece simple: a vintage hankie, a thrifted birdcage and fresh garden herbs and ivy mixed with more of my jadeite collection. Until the garden's in full bloom, I've been combining pretty faux greenery like this garland on my chandy, with fresh. You can see my dining room gallery wall peeking through. All of the vintage frames and mirrors on the gallery wall are upcycled thrift store finds I've collected over time. 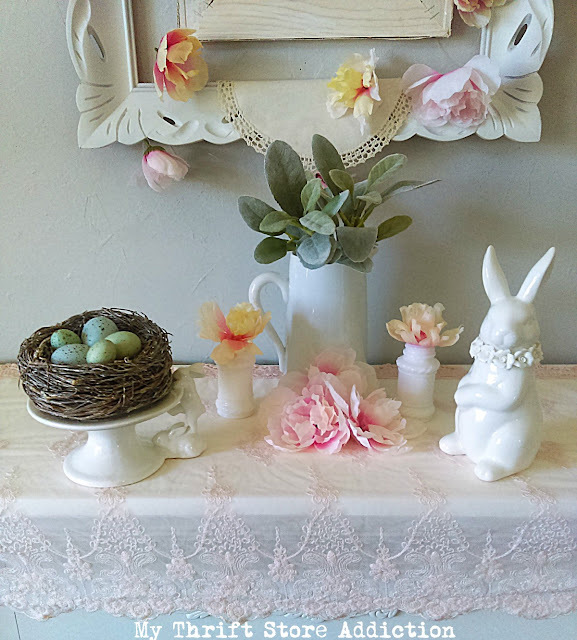 Now it's been refreshed for spring, as has the mantel, with more blushing blooms and bunnies from my thrifted collections. 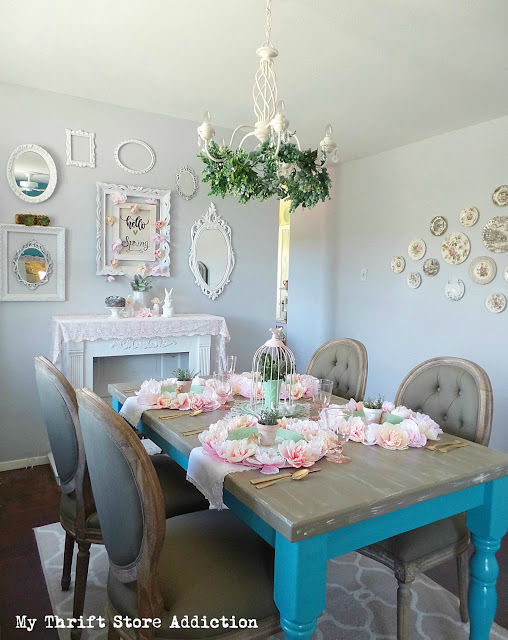 You can find tutorials for this 15 minute flower garland, here and the canvas art upcycle here. This French pitcher was a yard sale find and is one of my favorites. I love the mischief climbing bunnies. I found them on clearance after Easter a few years ago. In any season, you'll find romantic accents throughout my home. My love for the pretty faux peonies began last spring, when I gave my vintage dress form, Juliet a blooming dress to welcome the season. I adore adding a touch of whimsy to each room as well. My living room just feels happy with these fun pillows. I found the sassy spring bunny pillow on Amazon. 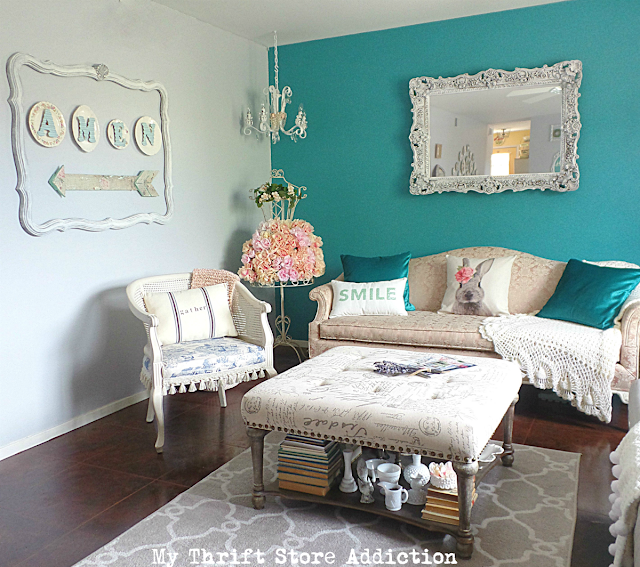 Practically everything in my living room is a thrift store or yard sale find that just needed a little love. You can read more about my upcycled thrift store decor, here. Thanks for stopping by! I hope you've enjoyed my whimsical bunnies and blooms. Be sure to visit Paint Yourself a Smile and the rest of the talented bloggers listed at the end of the post. Enjoy the rest of the spring home tours--here's the daily line up! It all looks very springlike! I love all your bunnies and blooms. Colorful and whimsical! Happy Spring! I am loving all that Jadeite! What a stunning home you have! I love your dining chairs!! And all of your spring touches! Very Springy! Your bunny pillow is so cute! I am in love with all the bunnies! Especially that one on the pillow. He's adorable. What a gorgeous home you have and I love all the pops of colour. Well done. I loved the climbing bunnies most of all. Your have a home full of character and style. 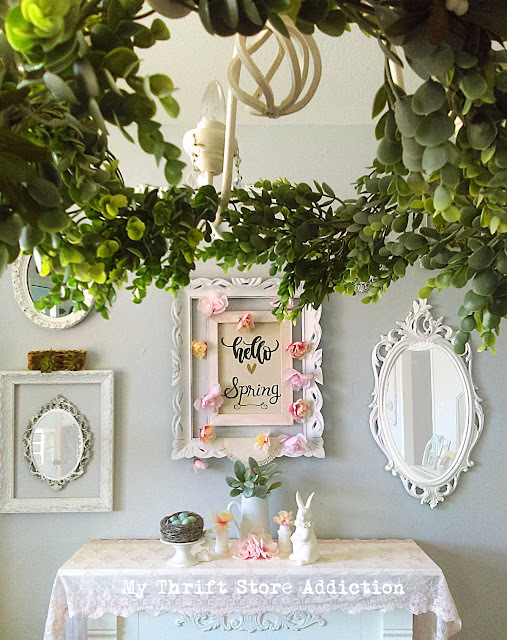 Your spring decor is so charming, Cecilia! Who wouldn't feel special at your beautifully decorated table? Cecilia, I love it all! Your home is perfect for a little spring tweaking here and there. The flowers and that bunny are so sweet. Cecilia, I love that sweet bunny pillow! Your table turned out so cue with the fun placemats you created. Your home is lovely. 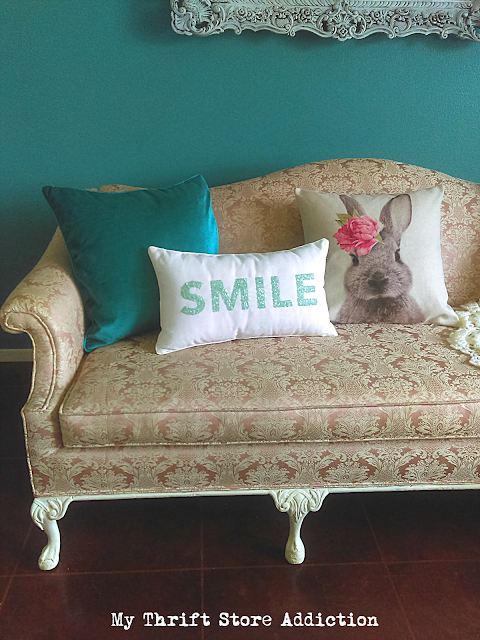 I especially love the rabbit and smile pillows. Which is so appropriate since that adorable rabbit made me smile. Thank you for sharing your charming home tour with us at Snickerdoodle. It is all beautiful, but I love the bunny pillow. You have done a beautiful job bringing in beautiful spring flowers but those placemats!! They are beautiful and such a clever diy! Cecilia, it's so good to see your lovely spring tablescape. Aqua and pink are my favorite colors, too. I love your cage ~ I have a similar one and you've given me inspiration how to use it. The flowered placemats are stunning. Great to be on this tour with you. Everything looks so beautiful, but that little brown bunny is just so darling! I could look at him all night long...and smile!! Ok be still my jadeite loving heart!!! 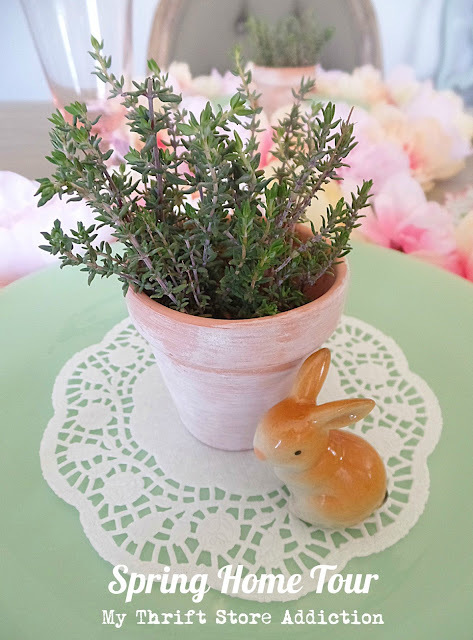 Your table with bunnies and flowers and jadeite is just gorgeous!!! So fun touring with you! So much whimsy, it's adorable! That Hello Spring art is so fun!! Bunnies and blooms, it doesn't get much better than that for spring. Beautiful! 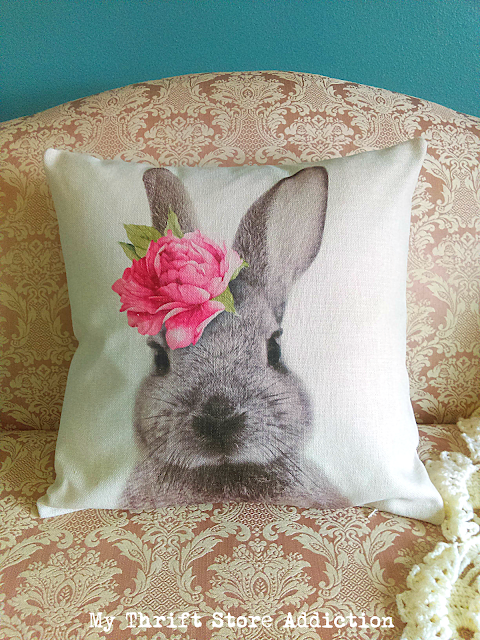 Those flowers and bunnies are amazing and so pretty - I'm especially fond of that bunny pillow too! Beautiful home tour! Love that bunny pillow! 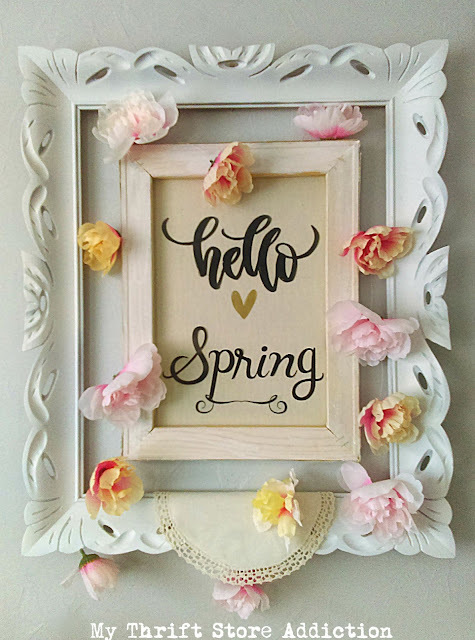 Your home looks so springy, organized, and cool! 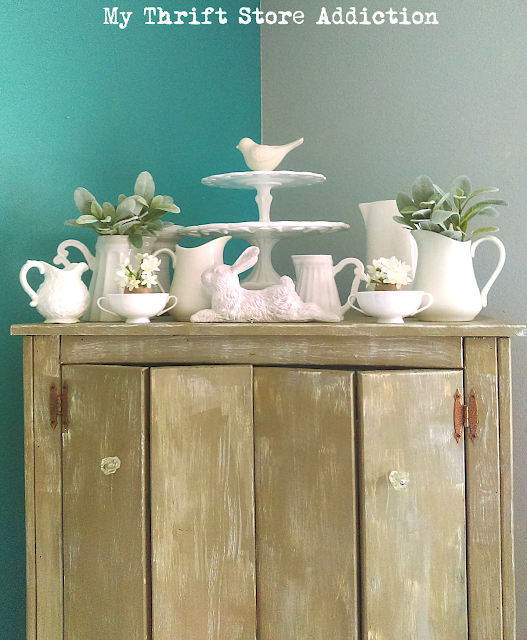 Jadeite is made for spring decor, isn't it! Lovely! Everything looks so beautiful. I love your colors. 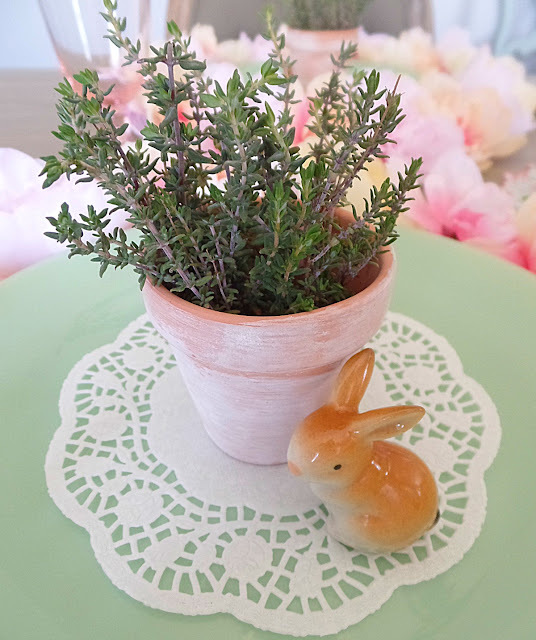 How darling!Lovely and dainty vignettes!Happy Easter! 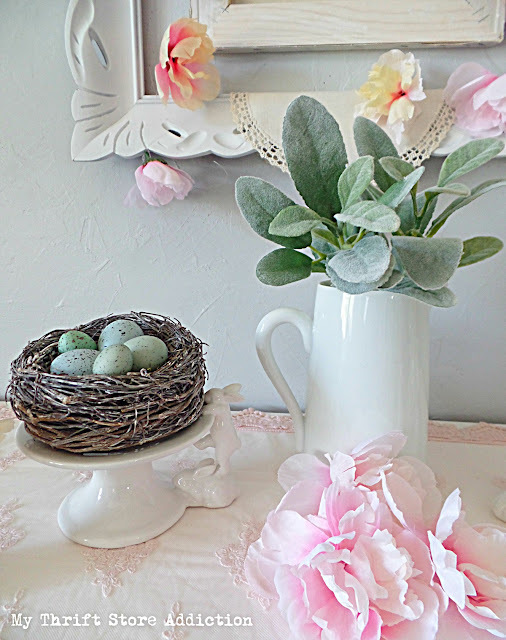 Your spring decor is so lovely. 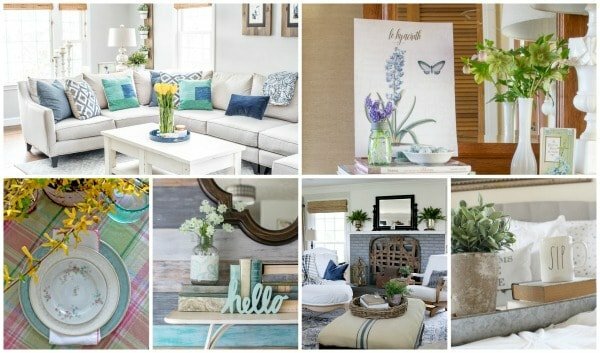 What a beautiful Spring Home Tour! 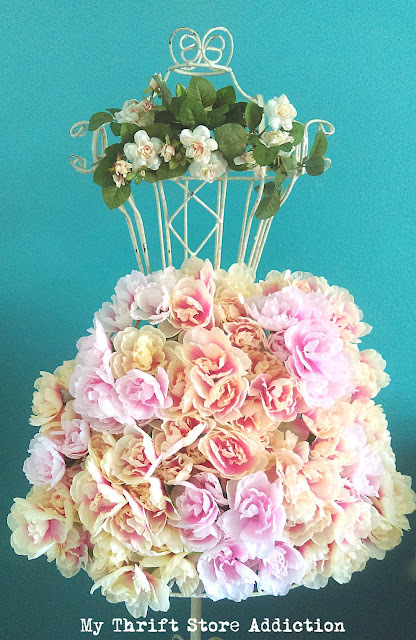 I absolutely love how you decorated the chandelier and the dress form is stunning!